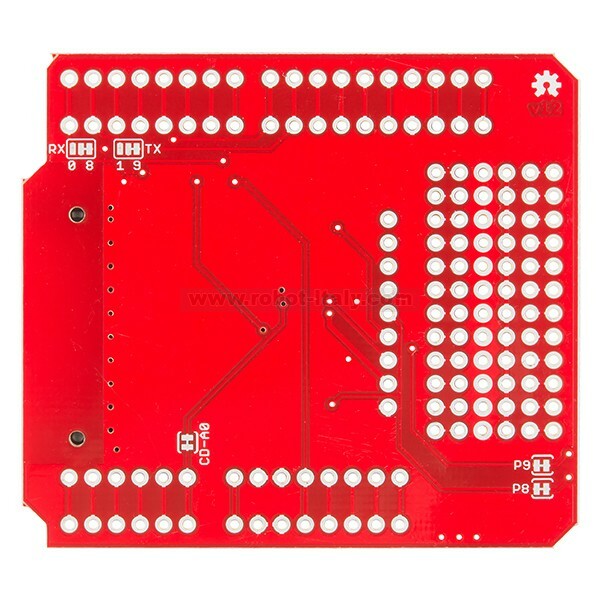 The Shield connects one of the Imp’s UARTs (Imp pins 5 and 7) to either the Arduino hardware UART or a software serial on pins 8 and 9. It defaults to the software serial, but there are jumpers on the bottom side to set it to the hardware serial. If you aren’t familiar with the Electric Imp, it essentially provides an easy, integrated way to connect almost any hardware device both to other devices and to internet services. It’s more than just a WiFi card, or even a WiFi module with processing built in - it’s an integrated platform that deals with the drudgery of connectivity, allowing you to concentrate on the application instead of the mechanics. Of course, if you’re developing for it you’ll need a way to get in there and poke around. 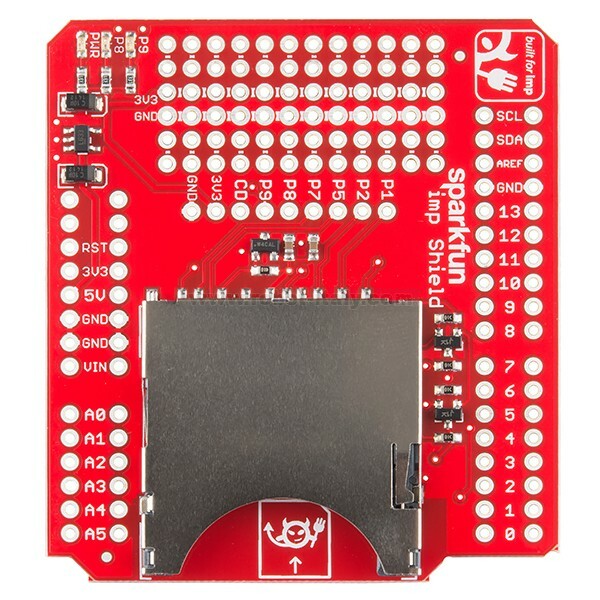 The Electric Imp Shield allows you to connect your Arduino project to the internet through your home WiFi network. 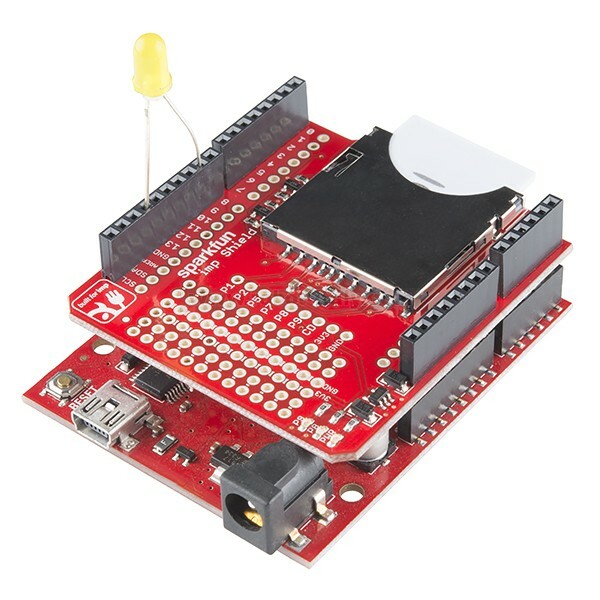 This way, your Arduino can take advantage of the Imp Cloud service and connect to HTTP APIs. 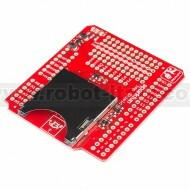 The Shield connects one of the Imp’s UARTs (Imp pins 5 and 7) to either the Arduino hardware UART or a software serial on pins 8 and 9. It defaults to the software serial, but there are jumpers on the bottom side to set it to the hardware serial. 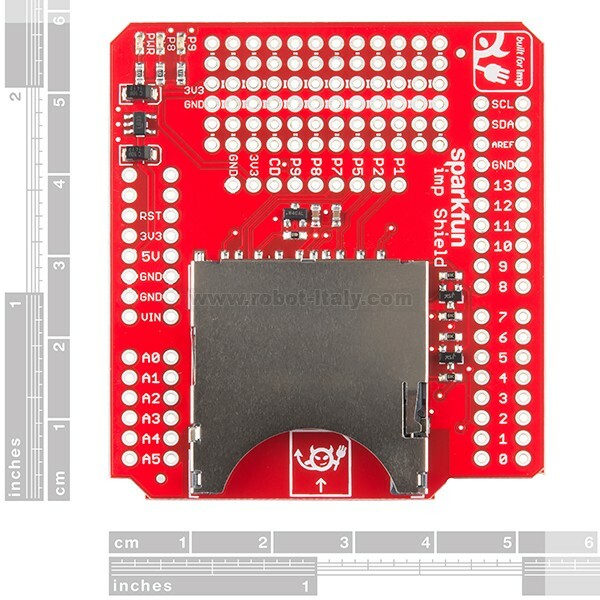 A couple imp pins (8 & 9) are also connected to LEDs. They can be disconnected via jumpers on the bottom, if you’d like. Note: This shield does NOT come with the Electric Imp card.